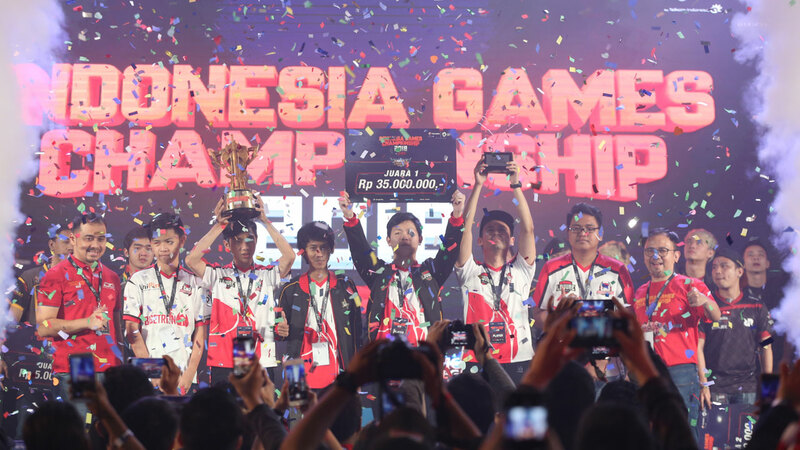 The biggest telecommunication provider in Indonesia, Telkomsel already finished its Indonesia Games Championship 2018 (IGC 2018) main event. 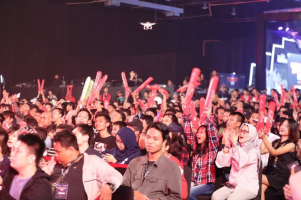 With more than 9,000 gamers participated and 13,000 attendance for the main event, IGC 2018 surely is the biggest eSports competition in Indonesia. 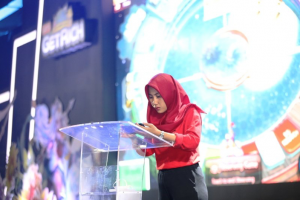 IGC 2018 was held by Telkomsel in collaboration with its gaming website, Duniagames.co.id. Before the main event that was held in Balai Kartini, Jakarta on 20-22 April 2018, There was a national qualifier that held online. 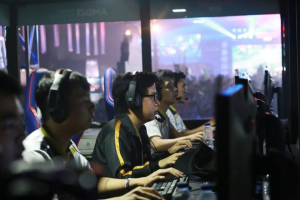 More than 9,000 gamers participated in this national qualifier, with more than 3 million views and 9 million minutes on the live streaming. For the main event, there were more than 13,000 visitors who came and watched the final series to decide the grand champion of the IGC 2018. Around 32 best teams competed in 5 different games: Vainglory, Mobile Legends, Arena of Valor, Dota 2, and LINE Let’s Get Rich. The participants did not only come from Indonesia. 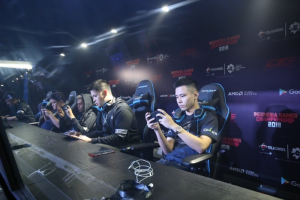 There were also several overseas teams that participated in this event, such as Singapore, Vietnam, China, dan Australia, Thailand & Taiwan. 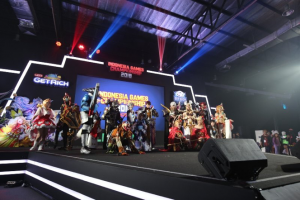 “Through IGC 2018, we try to give Indonesian gamers community a place to interact and share all information about games,” said Ririek Adriansyah, President Director of Telkomsel Indonesia in his opening speech. “This event is one of our efforts to build the digital entertainment and lifestyle ecosystem for the Indonesians,” he continued. Not only games, there was also a cosplay competition that was participated by individuals or groups. This contest was divided into five different categories: team cosplay, single cosplay, costreet, fun photo contest, and cosplay photography competition. Five games contested with five different champions, but Indonesian teams really dominated the arena. For the Dota 2 tournament, top Indonesian team BOOM.ID grabbed the champion title. For the Mobile Legends tournament, LOUVRE can defeat another fan-favorite team like EVOS and RRQ.O2 to become the champion. And also, BIGETRON claimed the champion title for the Arena of Valor competition. 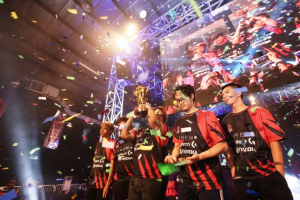 Singapore team, RENEGADES successfully beat some home teams to claim the Vainglory‘s champion. And for LINE Let’s Get Rich, PON from Thailand successfully grabbed the first place. Besides its eSports and cosplay competition, there was also some other entertainment that can be enjoyed by the visitors. Some booths provided virtual reality games, console game, and arcade games. On the last day, there was an attractive performance from JKT48 and some other supporting artists. 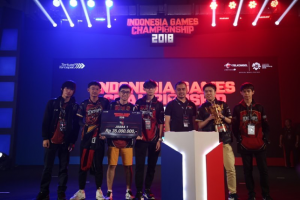 “We want to congratulate all of the champions and thank you for the all of the participant’s enthusiasm who compete in IGC 2018,” said Alistair Johnston, Marketing Director of Telkomsel. “We hope that this event can be a beneficial place for game developers community, publishers, and gamers to collaborate, so it can be a great support to develop a new digital ecosystem in the game industry,” he continued.